Central heating system is one of the most important parts of your home when it comes to making your home comfortable over the cold season. Your home central heating ensures provision of adequate warmth in every room of your structure and supply of hot water for household use, and when not working it can be such a stress and inconvenience. To keep your central heating up and running at all times, you need the services of a dependable and qualified gas and heating profession to help you in any of your household heating requirements. Eco Efficient Plymouth offers exactly this quality. We have 50 plus central heating repairs Plymouth based engineers who are qualified and experienced in various central heating solutions ranging from installation, maintenance and repair solutions. If you have any problem with your central heating, whether commercial or domestic, call us 24 hours a day and let us know your heating requirements and where you are. Your call will be immediately answered by one of our polite and experienced gas and electric heating experts at any given time. Our technical team will take you through simple remote troubleshooting procedures and if the problem is not technical, they will guide you on how to resolve the issue over the phone. In case of any technical problem, we always send a team of qualified engineers near you for troubleshooting and quick repairs. For any request whether emergency or non-emergency, our technicians response in less than an hour to any site within and around Plymouth, which covers areas of Tavistock, Saltash, Exeter, Torquay and Launceston, making us the most reliable repair engineers in the region and in the entire UK. Call us now for any enquiries or to book an engineer visit and enjoy quality services among other free professional tips. We offer wide range central heating repairs service to cater for all your central heating needs with emphasis on durable and cost-effective solutions. Upon arrival, our engineers will quickly and comprehensively troubleshoot your heating system to identify the reason behind the breakdown and brainstorm on the most suitable solution for the identified faults. We ensure that the problem has been solved from its origin to prevent future occurrence of the same fault. There is nothing too big or too small for our technicians. We treat every situation with optimal seriousness and speed no matter how minor it seems to be, and we always have a perfect solution for any central heating defects no matter how big it seems. We are well equipped with latest tools and modern technology in the industry and whatever the problem you have; we have the right and reliable solution. Our central heating repairs will save you time and money. 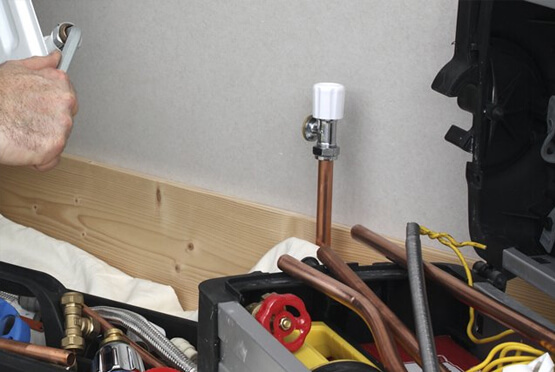 We understand the possible risks of a faulty central heating and for this reason, our technicians are determine to deliver timely and perfect solutions accompanied by free maintenance and accessories tips. We offer highly competitive rates in the region and our timely and durable solutions will help you avoid future repair costs. Our services also focus on energy saving options which will reduce you high energy costs. Talk to us today!